As our children and grandchildren return to schools and university campuses this week, and with Rosh Hashanah just around the corner, it’s clearly a time for new beginnings. 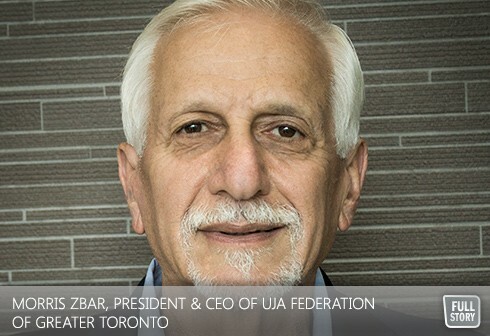 For me personally, as I assume my duties as the President & CEO of UJA Federation of Greater Toronto this week, I look forward to a New Year complete with new challenges, new triumphs, the continued strength, unity and growth of our remarkable Jewish community here in Toronto, and, of course, a peaceful year throughout Israel. And to my predecessor at the Federation, Ted Sokolsky, who for 28 years served Toronto’s Jewish community proudly, I thank you, and wish you much success in your future endeavours. And speaking of new beginnings, I am also pleased to present our new and improved newsletter which will make its way to your inbox each Monday and Thursday, bringing you a concise and efficient look at the news, features and commentary that affects us all as Jews, and as Jewish Torontonians. You can subscribe to it here. For those interested in reading about my goals and aspirations for the coming year, please click here to read a recent interview with the Canadian Jewish News. Thank you all for your ongoing support of UJA Federation of Greater Toronto and for your generous and compassionate gifts, allowing UJA to do what it has been doing for almost a hundred years, helping the Jews of Toronto and across the globe.